Renewable Cities is a global program of Simon Fraser University’s Morris J. Wosk Centre for Dialogue in Vancouver, Canada. Our mission is to support cities through the transition to 100% renewable energy and increased energy efficiency. Using research-based dialogue, collaboration, and thought leadership we work towards urban energy solutions with cities, governments, the private sector, utilities, researchers, and civil society. Read about our activities. Why Focus on Renewable Energy in Cities? Over 50% of the world’s citizens and more than 80% of Canadians live in urban environments; cities are also responsible for three quarters of the world’s greenhouse gas emissions. Globally, cities are growing rapidly and municipal governments are being challenged to adapt to changing demands for energy, infrastructure, and space. As the centres of demand for energy services for the majority of the world’s population, cities have a unique role in promoting energy efficiency and accelerating the transition to renewable energy. The goal of expanding renewable energy uptake is intertwined with other objectives in increasing energy efficiency and enhancing livability. To be a “Renewable City” is to employ a holistic approach to managing urban energy use, covering the electricity, heating and cooling, and transportation sectors. The benefits of transitioning to much greater use of renewable energy and increasing energy efficiency can include climate protection, cleaner air, better health outcomes, local economic development and job creation, localized energy decision-making, and increased energy security. Addressing the global climate change challenge will require both the rapid adoption and efficient use of renewable energy sources. A 100% renewable energy target creates a framework for cities to work towards that is attractive and can have broad public and political support. It represents a conscious decision to move away from fossil fuels, with a clear marker for success. The goal of moving to 100% renewable energy should also embrace energy efficiency and integrate other urban priorities and plans. 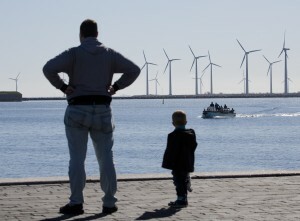 The global campaign for 100% renewable energy is now underway. A few countries have already set national targets to achieve 100% renewable energy, including Costa Rica, Denmark, and Sweden. Other sub-national or regional governments have done the same, including the State of Hawaii and Fukushima Prefecture. The largest number of jurisdictions to have adopted a 100% renewable target are municipalities. A few cities, such as Reykjavik and Burlington, Vermont have already achieved that goal in at least one sector. Many other larger global cities have adopted a 100% renewable energy goal in one or more of the electricity, heating and cooling, or transportation sectors. Some of these cities include Vancouver, Munich, Sydney, Hamburg, San Francisco, Barcelona, San Diego, and Malmö. While responsibility for energy often rests with other levels of government, vanguard cities and groups of local governments can help drive the regional and national discussion. Vancouver aims to be the greenest city in the world by 2020 under its Greenest City Action Plan. It is a global hub for social, economic, and policy innovation towards this goal. With one of the lowest per-capita greenhouse gas footprints of any city in the world, Vancouver is home to over 25% of Canada’s cleantech companies. 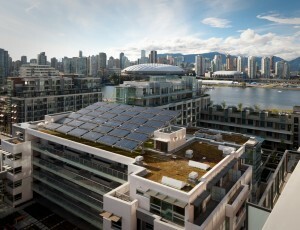 In 2015, the City of Vancouver adopted its Renewable City Strategy and pledged to move to 100% renewable energy in its electricity, heating and cooling, and transportation sectors by 2050. This made it the first Canadian city with a 100% renewable energy goal and a leader among North America’s cities. Located in downtown Vancouver, Simon Fraser University’s Morris J. Wosk Centre for Dialogue uses dialogue to generate non-partisan and constructive communication around difficult topics. It partners with government, business, and community groups to explore critical issues that impact the social, economic, environmental, and cultural well-being of our communities. 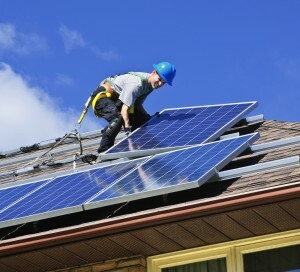 Renewable Cities is part of the Centre’s Climate Solutions Group, which includes the Adaptation to Climate Change Team (ACT), Carbon Talks, and Clean Energy Canada. Simon Fraser University provides essential administrative support and access to meeting and event space for Renewable Cities. Renewable Cities regularly partners with international organizations and governments, including through its membership in the Global 100% RE campaign. Renewable Cities receives core program support from the North Growth Foundation and the Sitka Foundation.